I Haven't blogged about anything in a while and to be honest, I wish I did it more often as sometimes I feel like I miss certain things when filming videos and reviewing them on my channel. I have decided that I really want to make use of my blog again and combine it with my channel once again. 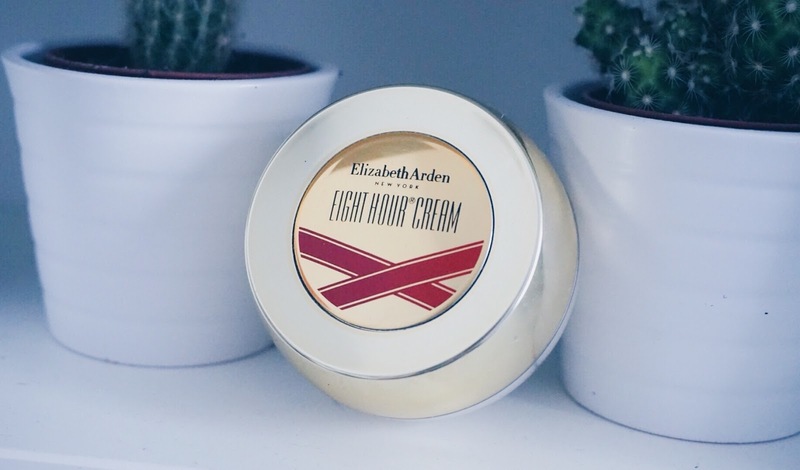 I have to admit a couple of years ago, when someone mentioned Elizabeth Arden to me - I always thought it was for the elder group of people. In reality, when you have worked next to an Elizabeth Arden counter for a year you suddenly show more interest in the brand and find it quite fascinating how many different skin care products are bought and for all age groups. My Holy Grail from the brand is by far their Eight Hour Cream Skin Protectant. I have their gold Christmas packaging which comes in a small tub. It is slightly messier than the actual tube if i'm honest and cannot wait to finish this to be able to purchase the proper tube packaging. All in all this product relieves sunburn, chapped lips, does wonders with bruises and cuts and all sorts it even tames your eyebrows! I have even used it on my boyfriend's cold sores and even chapped lips - I have to admit he hated the smell and texture but he was amazed with the outcome that clear any dry patches on his skin and even with any flakiness from his tattoo when they were healing. Overall, this product does wonder for the skin and can treat a number of issues and irritations, have you tried it yet?